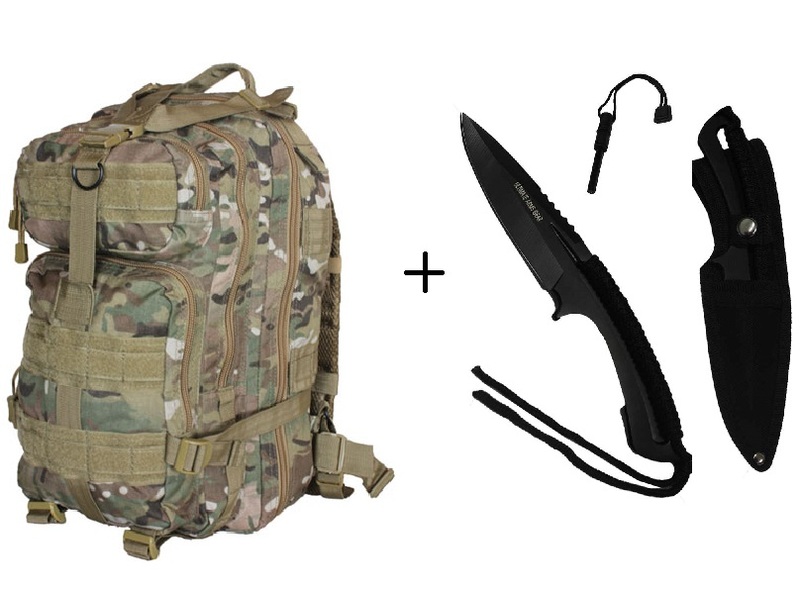 -Survival Combo Includes: 3 Day Compact Backapack + Survival Knife w/ Fire Starter-Measures 8 inch Long Overall. Full Tang Stainless Steel Blade in Black. -Equipped with Thick Black Cord Wrap Handle. Nylon Sheath Included with Belt Loop. Magnesium Alloy Fire Starter.